It must be daunting to be spotlighted at the Grammy Awards. Those attending this year’s event didn’t have the option of hiding their wrinkles and skin imperfections with headgear worn by the Daft Punk crew. Rather, they had to rely on their makeup artists, clothes and jewelry designers and plastic surgeons to be the best they could be. I have to say, the 40-and-older set pulled that off at the 56th Annual Grammy Awards. Madonna, Gloria Estefan and Tia Carrere were among the standout beauties at music’s big night. There are things that Hollywood’s stars do just before events, as well as weeks and months prior, to achieve flawless looks for the cameras. The most important elements in last-minute fix-me-ups are makeup, hairstyle, clothes and accessories, as well as no-downtime cosmetic procedures designed to make a woman look vibrant and younger. Professional makeup artists are usually best at carefully and artfully applying makeup that is appropriate for skin type, color, texture, hair and bone structure. Hairstyles should make a statement but not at the expense of a beautiful face. Same with clothing and accessories: Often, it’s the classic styles that get high marks from fashion critics. Cosmetic procedures that can be done a few days before a big event include fillers to restore volume and soften wrinkles and lines. 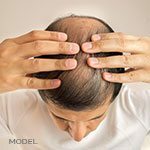 Relaxers including Botox, Dysport and Xeomin are great options. With careful use—especially in the upper face—we can diminish harsh lines associated with repetitive or excessive expressions, such as frowning. One note about neuromodulators Botox, Dysport and Xeomin: A surgeon’s experience is paramount when injecting these. As many of Hollywood’s beauties have found, Botox can result in an expression-less, waxy look. That’s not what you want on your big night. Injected correctly, it simply relaxes muscles that produce unwanted expressions. Now, onto fillers. 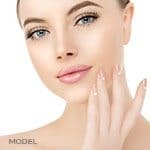 To achieve natural results, experienced cosmetic surgeons choose their techniques and materials based on the area and concern they’re treating. For example, I prefer Restylane under the eyes and Belotero Balance to correct very fine superficial wrinkles. I place most fillers in or below the skin using tiny, blunt tipped microcannulas rather than needles as the procedure is gentler and much less likely to produce bruising. And I often use fat, placed via microcannula, in subcutaneous layers (under the skin). Fat is great for structural rebalancing and re-volumizing and restoring youthful curves. I’ve also found that Radiesse works well when placed as structural support over the cheekbones, in the mid-face fat pockets and under nasolabial folds and marionette’s lines. Natural-looking, voluminous lips are important. I use Perlane or Juvéderm, introducing the fillers with a microcannula, to produce a wonderful, immediate long-lasting result. Maintenance procedures that should be done weeks or months prior to big events include the popular energy-based skin tightening devices—from the Fraxel re:store laser to radio frequency devices, such as Thermage and Venus Freeze. While these treatments little or no downtimes, patients don’t fully appreciate the benefits from skin-tightening procedures for weeks, even months. It’s the same with gentle peels. These are designed to erase the pigmentation and texture issues that plague us as we age. Peels also encourage new collagen production. But results take time to appreciate. I tell most patients they’ll see the magic of peels in two or more weeks. Finally, you can’t hide the rest of your exposed body from the cameras. So, you should pay attention to the neck and hands. The neck and hands respond really well to hyaluronic fillers (such as Perlane, Restylane, Juvederm), Radiesse and natural fat transfer. Intra and sub-dermal fillers fill and press out the ‘cobblestoning’ many of us see with age, giving the hands and neck instant great results.